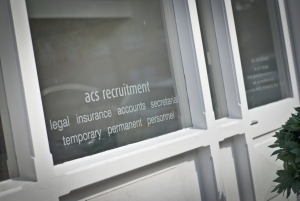 We are looking for a Trainee Accountant/Bookkeeper to join our clients law firm based in Bolton. 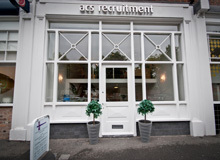 Working alongside a friendly and sociable team within a modern and stylish offices. You will be an integral part of the organisation, supporting the Senior Accounts Manager with day to day operational and administrative duties. You will be responsible for providing first class bookkeeping support. The successful candidate will ideally be degree educated, have some bookkeeping experience and be looking to work within a fast paced and forward-thinking company. Reporting to the Accounts Manager, working in a friendly but focused environment as part of a dedicated close-knit team. In your role you will primarily be providing support for everyday tax and accountancy functions, through to assisting in large scale and often complex specialist projects, with a view to managing your own portfolio, in line with your overall progression in the role. Law Byte Software is what the company is currently using, so knowledge of the system would be helpful but not essential. Knowledge of Sage software or any other accounting software will be helpful for the successful candidate. You will already have at least one year experience working in a practice, and will currently be, or will have just started, studying towards your accountancy qualification (AAT/ACCA), and be looking for a long-term opportunity for professional and career development. • Strong IT skills – Microsoft Excel, Word and accounting systems, such as Insight Legal, Sage, etc. • Good organisational abilities including prioritising workloads to deal with multiple tasks and deadlines. You will have a friendly but professional manner, be able to work under instruction, but also on your own initiative and as part of the team, and show a real desire to learn and expand your professional knowledge and skills.